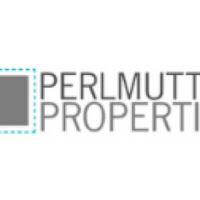 SPECIALIZING IN REAL ESTATE LEASING THROUGHOUT THE TRI-STATE AREA Perlmutter Properties Inc., was formed by David S. Perlmutter in 1989, as a New York licensed real estate brokerage firm. Perlmutter Properties Inc. specializes in retail shopping center leasing and consulting. The company maintains its office in Westchester County, enabling it to serve its clients in New York, New Jersey and Connecticut. Pleasantville NY - Office Sublease 49 Marble Ave.